Christine Mitzuk, Full Time Instructor at The Atelier, is a Minneapolis based imaginative image maker. She loves to create visual narratives fueled by traditions, tales, the world without and within. Christine attended the University of Minnesota for Landscape Architecture. During the Pre-Landscape Design Program she was informed that most landscape design jobs entailed figuring out where to put trees around an architect's office building or parking lot. This didn't sound like much fun so after the first year she switched majors. Four years later she graduated with a Bachelor of Science in Design Communications and a Minor in Studio Arts. For over seven years she worked in graphic design, creating her own art in her spare time. Craving to know how to make all the imagined creatures and places in her head look real, she resigned from her job to pursue the full-time program at The Atelier Studio Program of Fine Art. She completed 5 years of study in May 2011 with a focus on realist and imaginative art. She then took the skills she learned at The Atelier and honed them specifically for illustration through an intense mentorship with professional artist, Rebecca Guay. Christine now works as a professional artist. She is an instructor at The Atelier in both the full-time since 2017 and part-time program since 2012. She freelances specializing in imaginative art. She also builds her personal body of work, following her curiosity and taking pleasure in her many interests which include playful treats still life to otherworldly fantasy art. 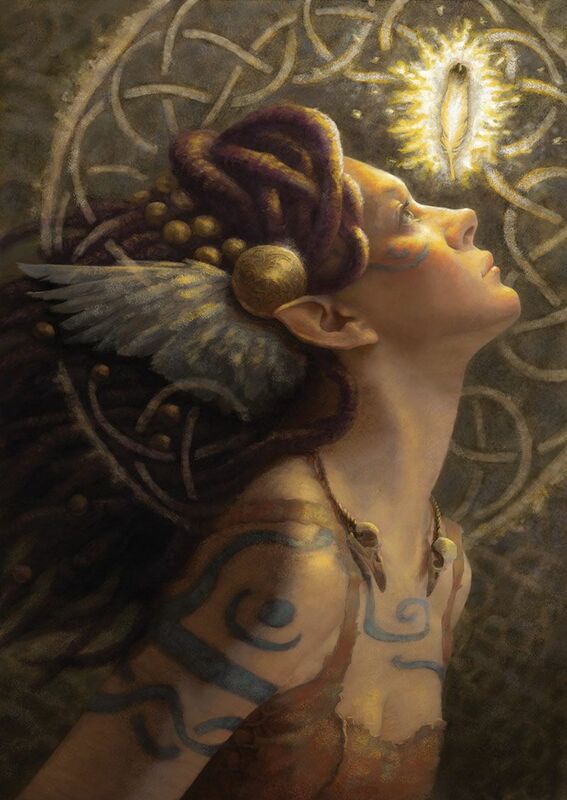 She was won numerous awards for her imaginative and fantasy art and continues to hone her craft and her imagination through continued study of the figure, nature, and anything that catches her interest. With illustration, and imaginative art specifically, I get to ask the question "what if?" After that it's a matter of combining play, and work. Each seed of an idea offers so many possibilities, and the final illustration is just one version. At some point I have to stop asking "what if?" and choose what narrative I want to show. I want to show you the possibilities, the colors, the light of the world around us because that’s what I pull from to make my pictures. I want to delight you with color and whimsy, move you with drama of action and light, or simply make you smile.